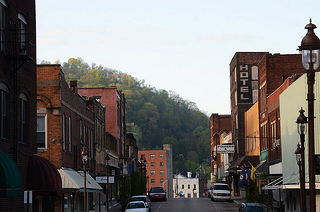 The After Coal team was excited to participate in the Appalachia’s Bright Future Conference in Harlan, Kentucky from April 19-21. 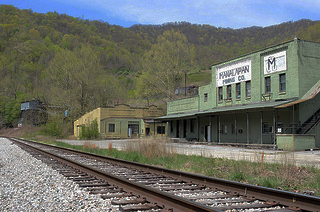 Mair and Hywel Francis traveled from Wales to Appalachia for the occasion, continuing the exchange of lessons and stories among coal communities. Enjoy some photos we snapped that help tell the story of the weekend. 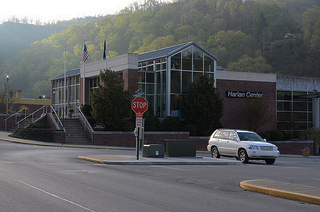 The Harlan Convention Center, site of the Appalachia’s Bright Future Conference. 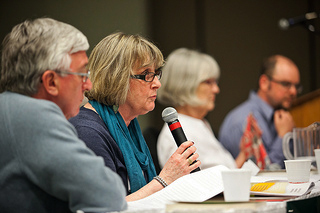 After Coal project advisor Mair Francis speaks, Appalachia’s Bright Future Conference. 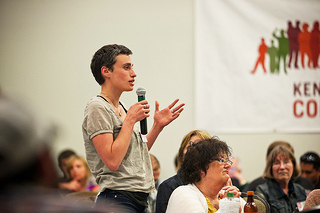 Katey Lauer asks a question at the After Coal panel, Appalachia’s Bright Future Conference. 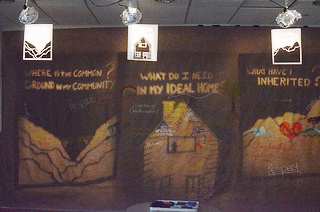 Art installation by Anna Roberts-Gevalt and Chris Owen at Appalachia’s Bright Future conference. 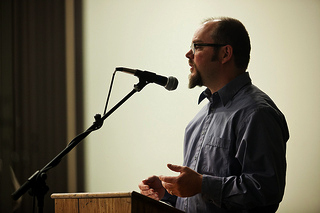 After Coal project director Tom Hansell introduces the panel at the Appalachia’s Bright Future Conference. 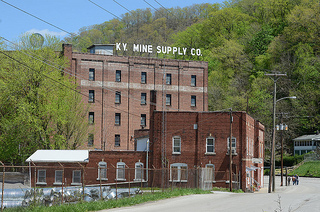 Mine Supply Building, Harlan, Kentucky. 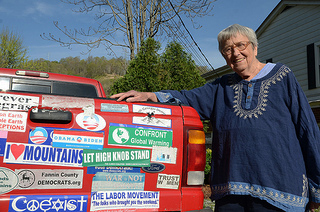 After Coal project advisor Helen Lewis and her famous truck. 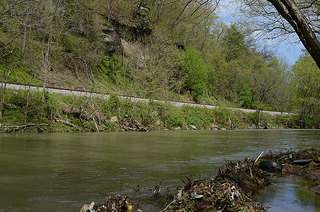 Clover Fork of the Cumberland River, Brookside, Kentucky. 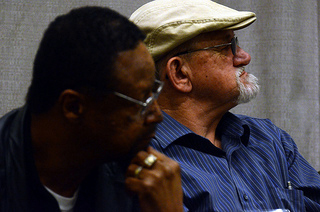 Retired Miners Rutland Melton and Carl Shoupe participate in a discussion about workers and economic transition at the Appalachia’s Bright Future conference.